A bit of history is showing on the Old Girl. At some time there was an event that resulted in something being throw at force in the hydraulics or differential. 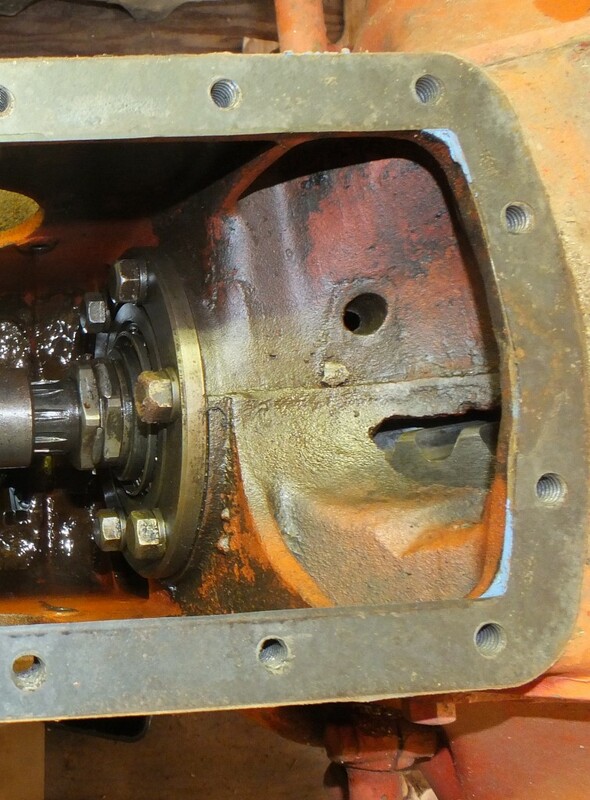 There is a corresponding place in the housing on the tractor; you can see the bulge under the gasket. There is a hole in the differential housing but I thought maybe it was normal. I seem to recall that water got into the fluid and Dad started the tractor on a very cold winter day not knowing that water was in the fluid.